By now, various promo art and posters have given us a pretty good idea of Thanos’ appearance in next month’s Avengers: Endgame. 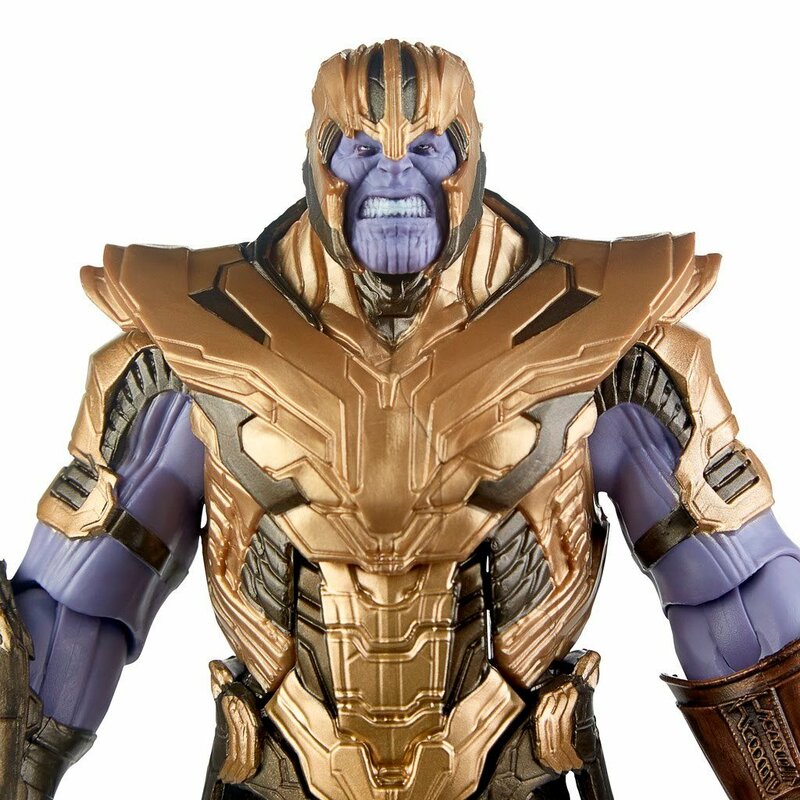 But thanks to these recently shared Hasbro action figure photos, we might have our best look yet at the Mad Titan’s latest getup. 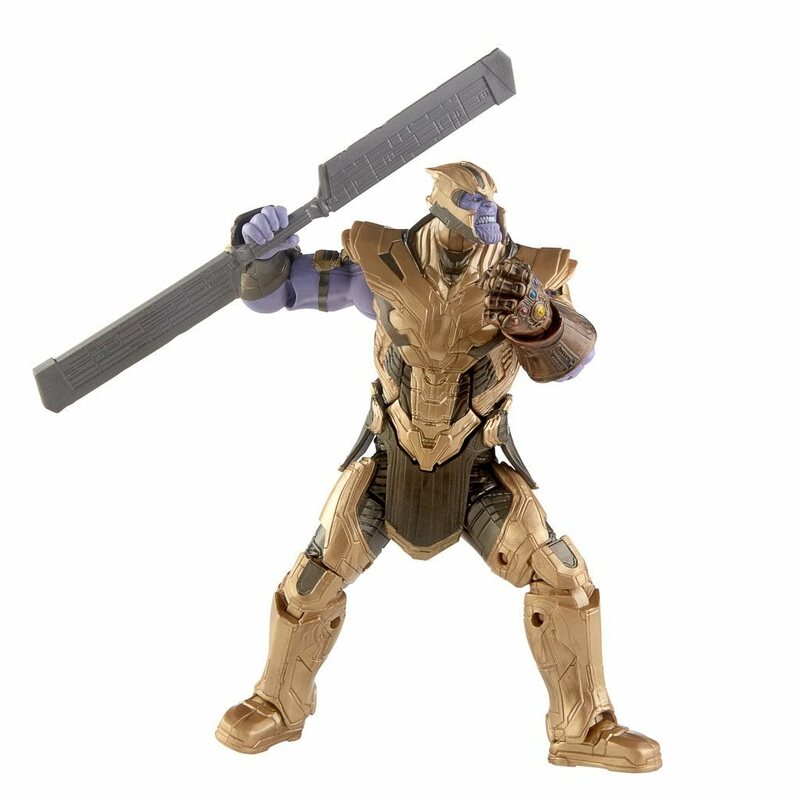 Between the Infinity Gauntlet on one hand, a double-bladed sword in the other, and the armor that covers his body from head to toe, the purple tyrant is looking pretty well protected, and his new design has already been cause for much speculation. To elaborate, seeing how Thanos chose to lose the armor early in the events of Avengers: Infinity War since he felt his gauntlet kept him protected enough, the question is raised of why he’d take precautions this time round. The most popular theory just might be that the Infinity Gauntlet is no longer the all-powerful tool that it once was, perhaps suffering some damage at the end of last year’s release when the snap was executed. Alternatively, now that pretty much the entire universe has a grudge against him, maybe Thanos is just feeling a little anxious. 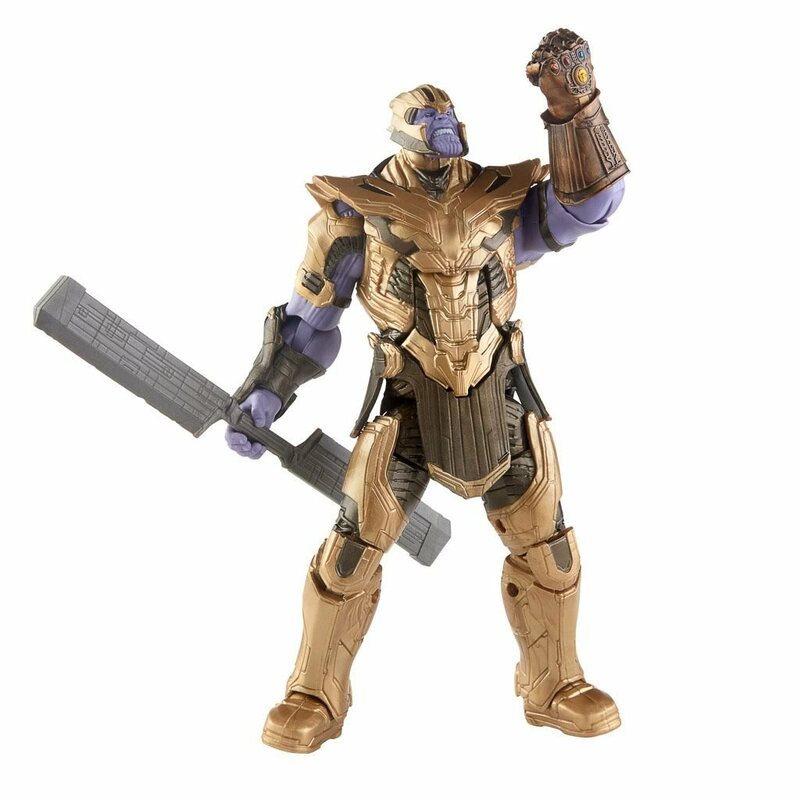 Then again, perhaps all the merchandise and promotional images of the villain wearing the gauntlet and his armor simultaneously are a little misleading, and he only puts on the latter after somehow losing the former. This is just one of countless topics around Avengers: Endgame that’s spawned an ongoing stream of theories, rumors and debates for the past year. We’ll find out if the movie’s actual answers can live up to all the hype though when it arrives in theaters on April 26th. And in the meantime, look out for those advance tickets going on sale.